There are many victims of terrorism carried out in the name of Allah and the prophet Muhammad, but none more so than people of the Muslim faith or people with Muslim names. Throughout the world, perfectly innocent, law-abiding Muslims have become objects of suspicion and fear because of the despicable terrorist acts executed by so-called Jihadists. The Washington Post reported that Abdallah Zekri, head of the National Observatory Against Islamophobia, said that in a 48-hour period after the killings in Paris at the offices of the satirical magazine, Charlie Hebdo, 16 places of worship around France were attacked by firebombs, gunshots or pig heads — an insult to Muslims who don’t eat pork. The Jihadist groups – the most vicious of which is now ISIS (sometimes called ISIL) – have indulged in the most horrific killings, including the primitive beheading of persons they have captured. Whenever terror attacks have occurred in Western societies or against persons from the West, mainstream international media have unfortunately focused on those events in ways that enlarge a perception of a clash between followers of Islam and the West. For instance, in the reporting of the atrocity at a kosher supermarket in Paris on 9 January in which Jews, were murdered insufficient attention was paid to coverage of a young Muslim immigrant from Mali, Lassana Bathily, who saved the lives of many other potential victims by hiding them in a basement freezer before himself escaping to give the Police the key to the supermarket. Bathily’s response was that of a caring person, acting not on the basis of religion but of human compassion. While it is surely not intentional, by and large Western mainstream media have re-enforced the growing notion that Muslims generally are determined to impose their religion and their religious beliefs and laws on the rest of the world, and are a threat to Western civilization. Yet, the Jihadist groups have killed more Muslims than people of any other faith. Practically ignored by Western media and many governments were savage jihadist attacks in northern Nigeria and Yemen on the same day as the Charlie Hebdo killings. As many as 2,000 people were slaughtered in Nigeria by the Islamist group Boko Haram, and in Yemen, 37 people were murdered by Al-Qaeda. In Western societies, one of the results of the extremist behaviour of the Jihadists is the strengthening of extreme right-wing groups such as the Front National in France, the Patriotic Europeans against Islamization of the West in Germany, the Dutch Party for Freedom in The Netherlands, and the United Kingdom Independence Party in Britain. In the wake of the atrocities in Paris, these right wing groups have used inflammatory language to attack multi-culturalism and demand an end to immigration. In doing so, they have appealed to prejudice, bigotry and ignorance but they have also succumbed to the objectives of the Muslim extremists who want an Islamophobic reaction that would help them to recruit more disaffected young Muslims to ISIS or Al-Qaeda. Prejudice, bigotry and ignorance thrive on both sides of the debate and feed the hostility that is now so palpable. The current striking example is the killing of journalists at the offices of Charlie Hebdo for their caricatures of the prophet Muhammad. The attackers claimed they were responding to blasphemy against the Prophet. But, as Fareed Zakaria has pointed out, “the Koran prescribes no punishment for blasphemy”. Further, “the idea that Islam requires that insults against the prophet Muhammad be met with violence is a creation of politicians and clerics to serve a political agenda”. Unfortunately, as Zakaria also points out, Pakistan, Bangladesh, Malaysia, Egypt, Turkey and Sudan have all used blasphemy laws, which they have adopted, to jail and harass people. The clerics and politicians are feeding on fertile ground in the Middle-East and North Africa (MENA) and in Western societies. The fertile ground in MENA is a very large number of young, unemployed males – higher than any other region in the world. These young people see no prospect of advancement for themselves and are susceptible to the lure of religious fanaticism that claims to give them recognition in this life and prestige after death. In Western countries, the recruiting ground is the disconnection of young Muslims from the societies in which they live. A sense of non-belonging is re-enforced by discrimination, lack of opportunity and, in some cases, the clannishness with which many ethnic groups live as separate societies. Fanatical clerics, instead of working to help such young people to integrate into the cultures in which they live, preach anger and retribution and sometimes advocate violence. What is now abundantly clear is that terrorists will not relent. Increasingly they pose security concerns for many governments, not just Western ones. Indeed, it is non-Western countries that have suffered most from terrorism in the last decade. The National Consortium for the Study of Terrorism and Responses to Terrorism, based at the University of Maryland, has revealed that in 2012, terrorism touched 85 countries and just three - Pakistan, Iraq and Afghanistan - suffered more than half of the attacks (54%) and fatalities (58%). The next five most frequently targeted countries were India, Nigeria, Somalia, Yemen and Thailand. 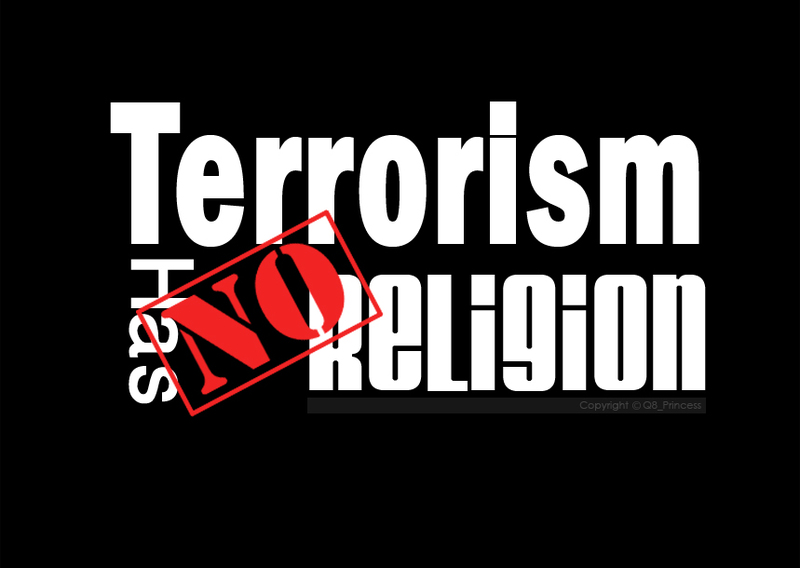 Against this background the solution to terrorism cannot not lie in the actions of any one government or in actions fashioned by Western governments alone. If Western governments by themselves devise only militaristic and criminal formulae for curbing terrorism which they then attempt to impose on the rest of the world, those formulae won’t work. What is required is an inclusive approach that brings together leaders of Muslim, Hindu, Christian and secular states to discuss ways in which they can collaborate to address this deadly and grave problem in the interest of all nations, including surveillance, intelligence sharing military co-operation and alleviating poverty and unemployment. The United Nations may be where the discussion and the solutions end up for endorsement and ratification, but should not be where they begin. The General Assembly is simply too large and unwieldy for the sensitive and frank talks that are necessary, and the Security Council is not representative enough. Such an approach requires vision as well as a capacity to bring players together. As in so many of the world’s problems – leadership is needed to produce a multi-faceted solution to terrorism that the world’s people can collectively embrace. But who will be bold and creative enough to lead such an initiative?